JDP offer a range of Prestressed and high strength lintels. The Prestressed lintel is one of the most specified lintel ranges in the country. the method of manufacture gives a high performance pre-stressed concrete unit designed to be used in plastered situations. This range can also be used as ground beams being able to be used directly off pad foundations saving you time and money. If used in conjunction with our steel lintel can comply with part E: 2002 and Part L: 2002 to solve thermal bridging and acoustic problems. Lintels have low water absorption and as a result of the quality controlled Hi-Spec dense concrete mix used in their manufacture, they can therefore be used underground provided that the ends of the lintels have a minimum 45mm cover of mortar to the ends of the reinforcing strands. All Prestressed lintels are available in standard lengths from 600 to 3600mm long. 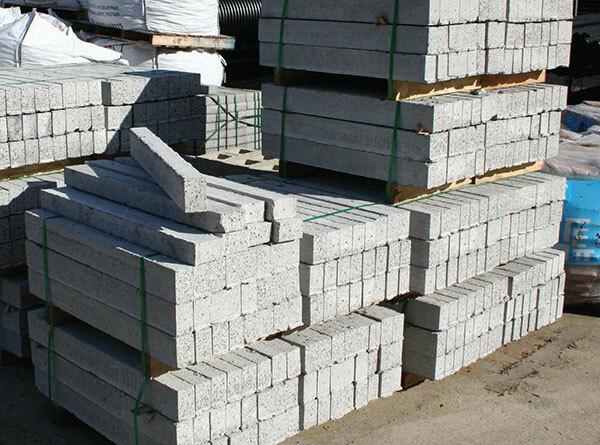 Concrete lintels are also available in short lengths for use as high compression padstones. Lintels should be carefully bedded on a full mortar joint. Wall ties should be positioned in accordance with current building regulations. A damp proof course should be used for all lintels in external walls, and must be fixed in accordance with building regulations. In cavity construction, it is recommended that both internal and external leaves be taken up uniformly. For spans in excess of 1200mm, it is good practice to provide temporary support (at 1200mm centres). If lintels are supporting concrete floor load, a minimum lintel depth of 140mm is recommended to allow for impact loads during the actual placing of concrete flooring. Concrete lintels may be cut using a high-speed disc cutter. Use of this should be by a properly trained operative taking due regard of current Health and Safety regulations.